Have you heard about Gulf Coast Reads: On the Same Page, a “one book, one city” program that will take place through September 30th, 2011? 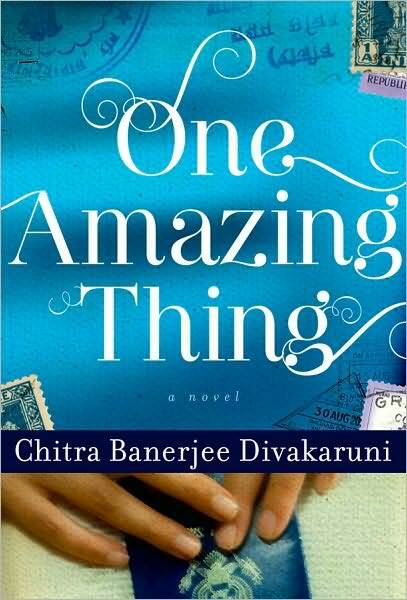 Everyone in the the city of Houston is invited to read and discuss the book One Amazing Thing by author Chitra Divakaruni, an internationally acclaimed writer who is featured in one of our WITS public service announcements and a big advocate for the work we do in the community. This educational and fun citywide reading initiative is being presented in partnership by the Houston Public Library, Fort Bend County Libraries, Harris County Public Library, and Montgomery County Memorial Library. The goal of Gulf Coast Reads: On the Same Page is to cultivate a culture of reading in Houston by encouraging people to come together in libraries, bookstores, community centers, homes, places of worship, schools and parks to discuss the book. This program will take place Saturday, August 27 through Friday, September 30, 2011. For more details visit www.gulfcoastreads.org. More information will become available on events, book discussions, and author visits. Please submit your personal story of “one amazing thing” that you’ve experienced to Gulf Coast Reads! Share your story with the rest of Houston. This is a wonderful opportunity for the arts to unite our city!